Irish Blacks original breed genetics derive primarily from European Beef Friesian bulls and proven American bred commercial females, many tracing to 1920's and 1930's Aberdeen-Angus "Revolution" lines. The foundation blood creating the Irish Black breed over fifty years ago was extensively tested to eliminate future genetic flaws. Development of Irish Blacks continued for the next half a century using performance based selection. To protect the breed's genetic future from problems, no new blood is ever allowed into the breed. With foresightful genetic planning and close line breeding, Irish Black blood has become pure and powerful. 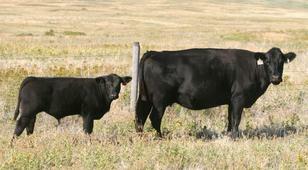 The result is the strong dominant blood of today's purebred Irish Black cattle. all of his top quality breed traits will pass to his calves. 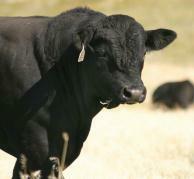 This is why Irish Black bulls are true sires, because they have the genetic power to reproduce themselves! 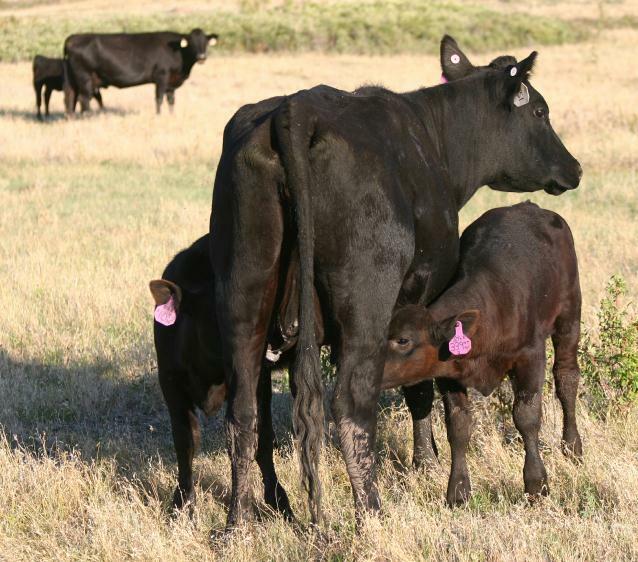 Producers can improve quality and attain remarkable calf consistency by simply using an Irish Black Bull. 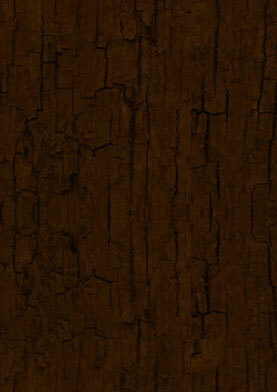 The Irish Black breed has been expertly engineered to meet the needs of commercial producers. 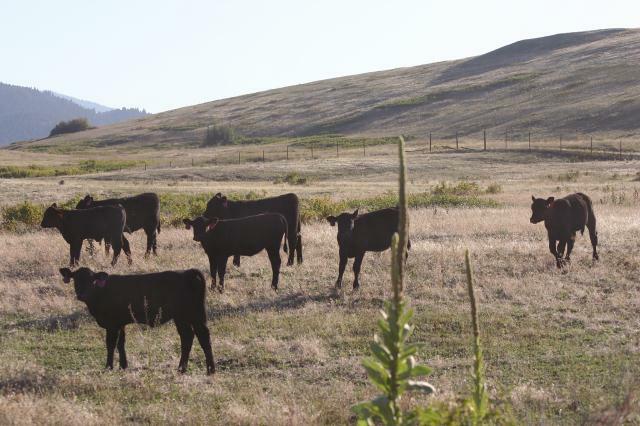 Put proven genetics to work for you today... call 406-745-5000. Irish Blacks . . . the Future of the Beef Industry! 2 Yr Old Heifer raising her twins on range pasture. Her heifer twins weaned at 628 lbs. & 580 lbs. She bred right back, calving on schedule the next spring !